After a test phase started in 2018 with the initial installation of 1,000 modules, the Mobile Payment ad Telemetry system MatiPay confirms itself as the official solution adopted by Coven Consortium, which is among the leading operators in the Vending industry with its 14 companies spread throughout Italy. SITAEL S.p.A. and Coven recently signed an agreement implementing the provision of 10,000 MatiPay modules and settling specific conditions for additional 10,000 items. The increased number of smart vending machines in the networks of the Consortium members will result in a concrete opportunity for the companies to fiscally benefit from the Italian Super-depreciation provision that encourages investments in innovation and that has a forecast of millions of Euros only for 2018. The Consortium will reinvest these resources for the technology implementation and for developing advanced features in the customized Coven version of the MatiPay app. At the beginning of this year, the system was awarded Honoree at the prestigious CES 2019 Innovation Awards in Las Vegas, the most important Consumer Electronics Show in the world. With this agreement, the number of vending machines integrating MatiPay technology is around 40,000 and it already involves more than half a million end-users. Through the MatiPay smartphone app, users can take a coffee, offer snacks, transfer credit and, very soon, they will be able to use their virtual wallet to purchase digital goods and services such as transportation tickets, vouchers for online shops or telephones top-ups by using their credit cards or cash, digitalized via vending machines. “MatiPay represents the state-of-the-art of Technology in Vending Industry” claims Matteo Pertosa, CEO of SITAEL S.p.A., “The contract signed with Coven as well as the prestigious award acknowledged reinforce our leadership in this field”. 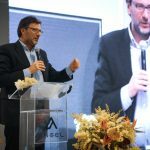 “Coven’s mission consists in putting end-users first and in meeting their requirements by means of specific targeted investments and innovative strategies” states Massimo Ferrarini, President of the Consortium, “The agreement concluded with SITAEL is, then, an essential step towards the achievement of our goals”. COVEN is a consortium company established in July 2014 by a group of medium-sized businesses operating in the Italian Vending Machines Industry. Today, the Consortium includes 14 companies with an overall turnover of € 230,000,000, around 65.000 vending machines and 30,000 OCS (Office Coffee System), and reach more than a million end-users. In 2017, the number of transactions by the Consortium customers was more than 500 million.